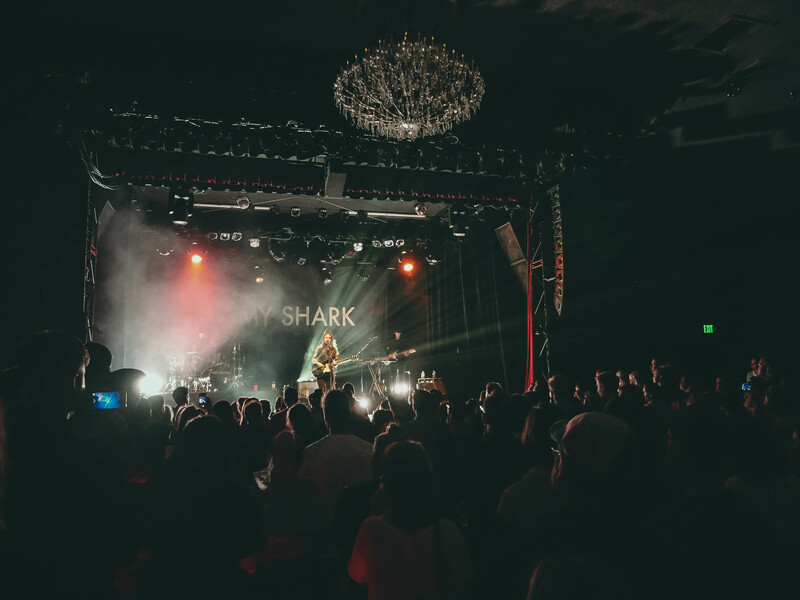 Australian artist Amy Shark brings her Love Monster Tour to Los Angeles and continues to win us all over with her dark pop-infused hits. Australian-born Amy Shark has had a wild year. The singer-songwriter and pop artist released her debut record Love Monster in July of this year — the highly-anticipated follow-up to her 2016 breakout single “Adore,” which had gained her national attention with regular airplay on Australia’s Triple J radio. That single, which transformed Shark’s career (who was ready to give up altogether), gave her the newfound attention and platform for listeners worldwide to soon fall in love with her unique take on dark pop-infused hits on love, loss and vulnerability. During her Los Angeles date headlining the El Rey Theatre on October 2, she teased rumors saying she was going to move out here by saying, “LA, I feel the love. I’ll see you again very soon.” Since then, Shark has sold out dates on her Love Monster Tour across Australia, Europe and is now closing off her North America tour. Shark never expected the success of “Adore.” When the song broke out, she became the talk of major label bidding wars until she ultimately went with Wonderlick Entertainment of Sony Music Australia late 2016. By the time 2017 came around, her influence only got stronger: she won Artist of the Year and Song of the Year at the 2017 Gold Coast Music Awards in Australia, released her debut Night Thinker EP with the single “Weekends,” which peaked at number on Australia’s ARIA Charts, and even made it to the U.S. with performances on The Late Late Show with James Corden and The Tonight Show Starring Jimmy Fallon. Follow Amy Shark on Facebook, Twitter, Instagram and Spotify.